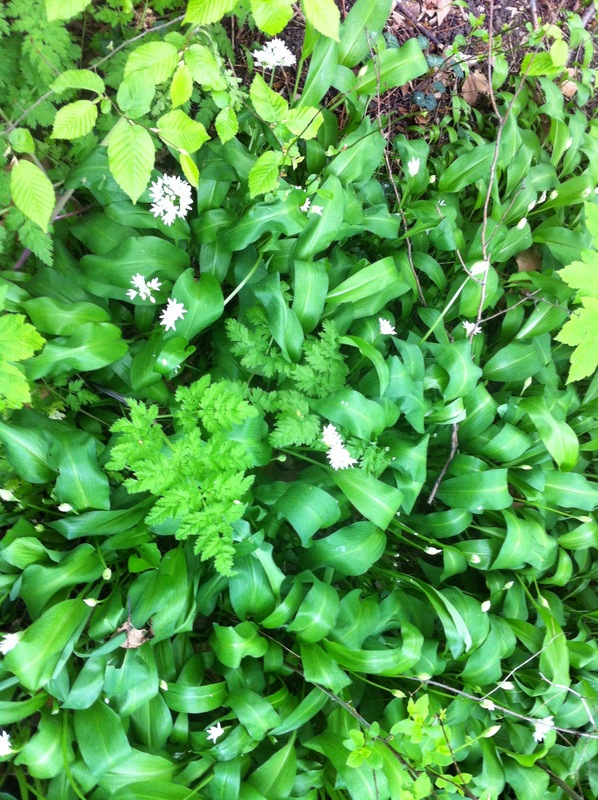 Rather than wait for wild garlic from Cornwall or Kent to show up in my veg bag, we decided to go foraging for some at the Tower Hamlets Cemetery Park. 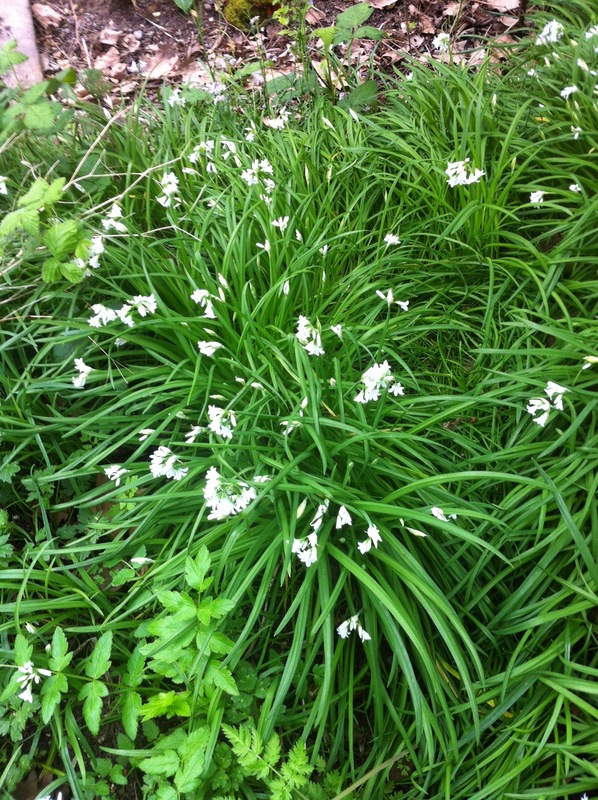 All thanks to the ever so personable Ken Greenway who took us on a spring bulbs walking tour at the cemetery park and pointed out where this patch of big succulent wild garlic (as well as the thinner wild chives) are located. 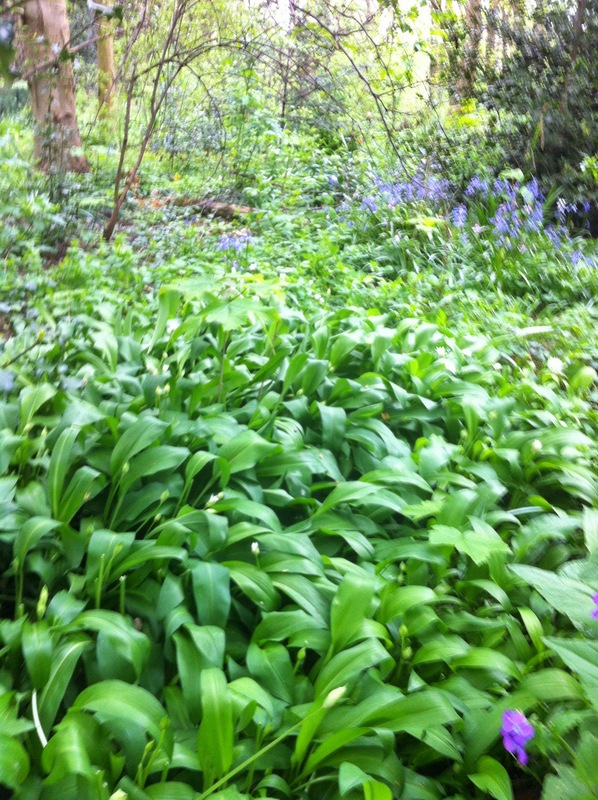 Since bluebells have decided to make an early appearances it makes the harvesting even more atmospheric and worthwhile, alongside the flowering wild garlic and chives (it wasn’t flowering the last time we saw it but of course that was at the end of February). We ended up with 100g which is probably double what you would get in the veg bag anyway. Ahhh, the joys of Tower “Green” Hamlets! ← You can’t get fresher than this!